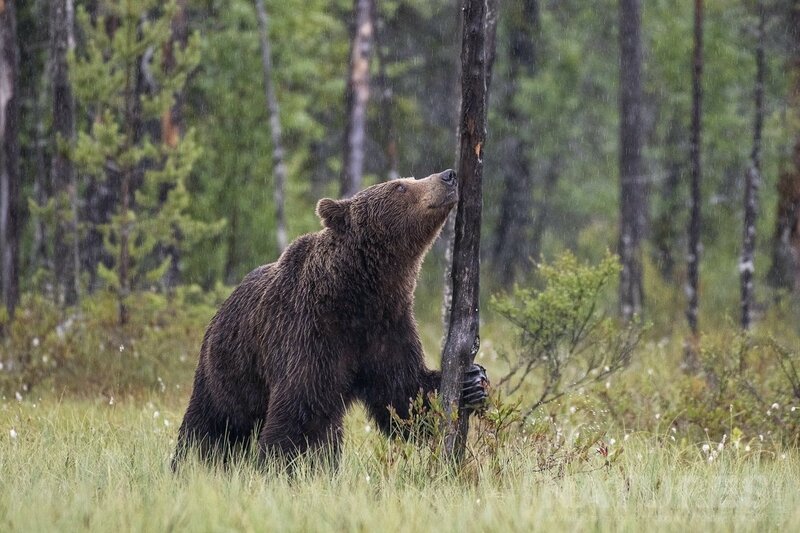 Our local bear expert, Johnny Södergård, led our 2018 trip to photograph the wild brown bears of Finland. 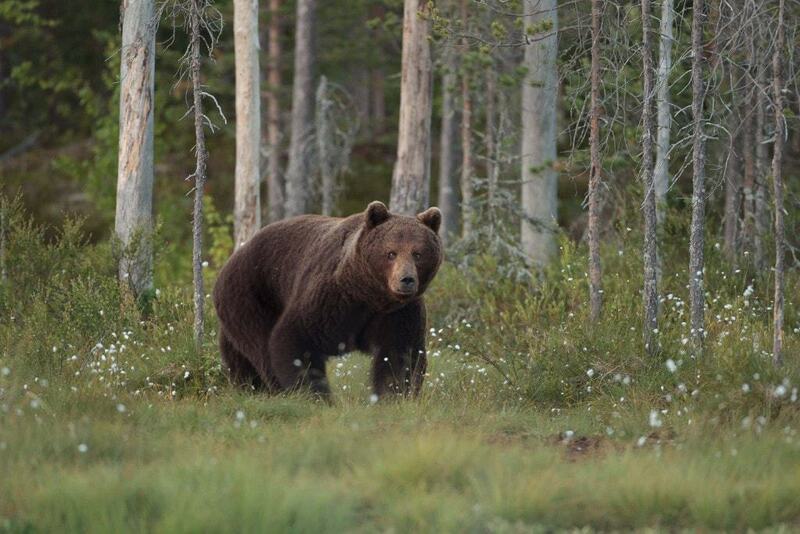 Johnny is a familiar figure around the Finnish bear centres so our guests couldn’t have been in better hands. Furthermore, his lovely partner, Anna Wikén was also on hand to provide additional assistance. 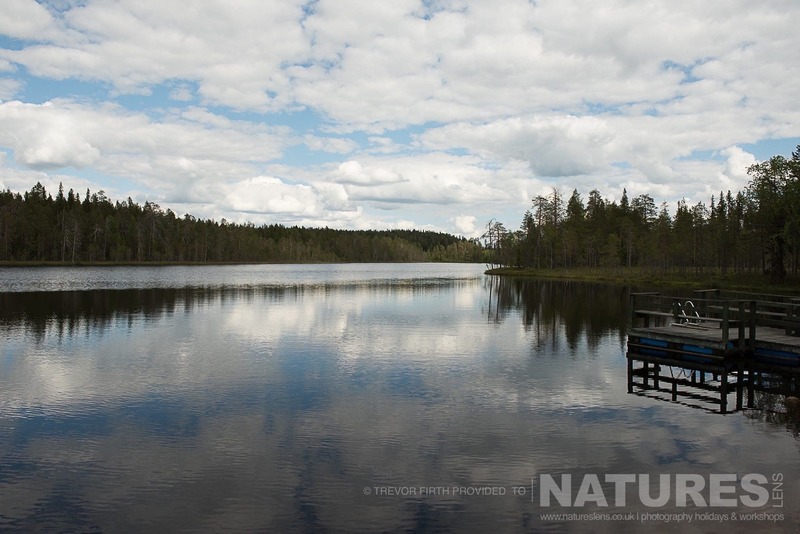 The hides are located around three ponds in a marsh area close to the Russian border. 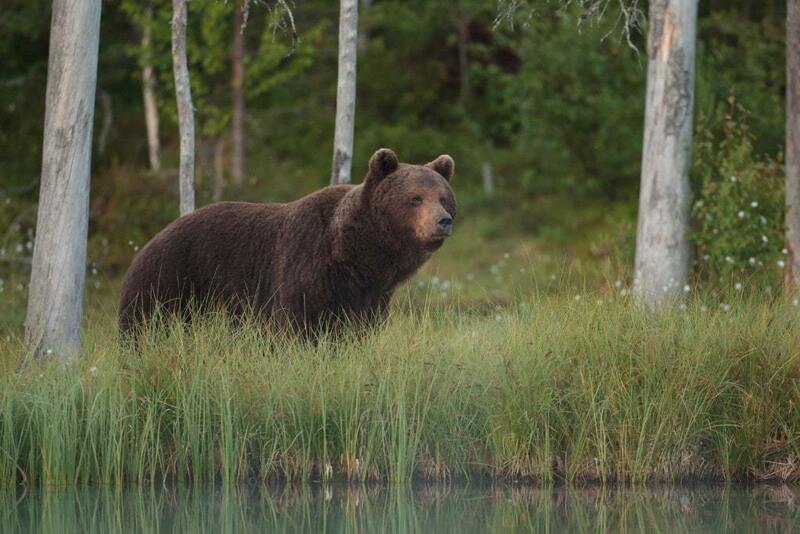 There are also hides in the forest, but due to the lack of light, we did not use these hides. 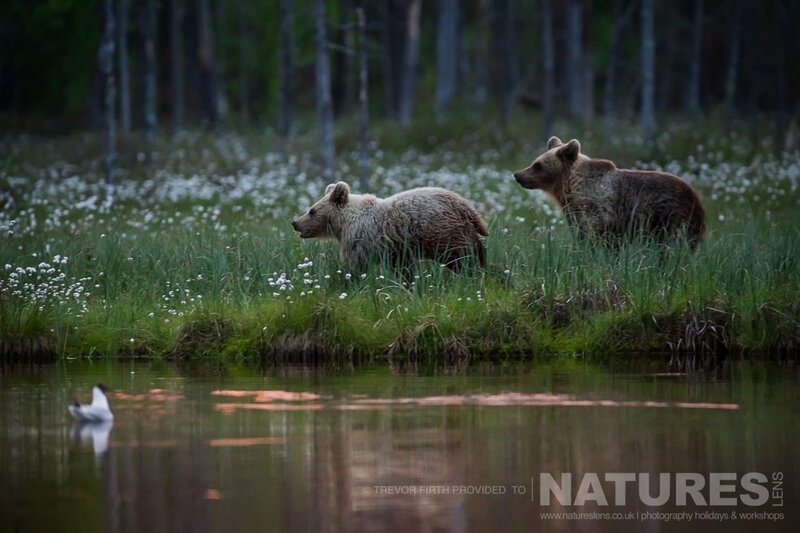 As a keen wildlife photographer, I am always looking at ways to challenge myself so when Sean Weekly told me of availability on a trip to Finland to photograph the Wild Brown Bears, I jumped at it. I had met Sean on Skomer Island back in 2016 photographing the Atlantic Puffins & learnt so much in that short time I was confident that I would enjoy the trip even though it was my first organised wildlife trip. 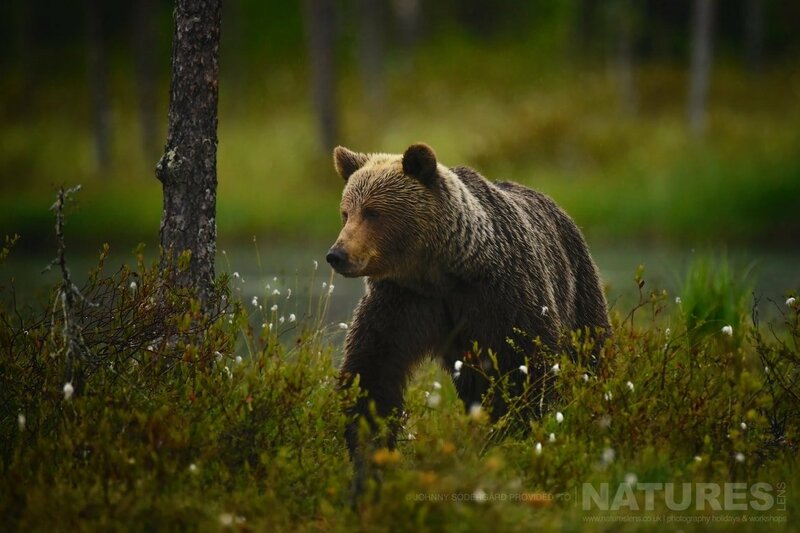 This is part two of my blog about my encounters with the Wild Brown Bear of Finland – if you have missed it, please read part 1 here. 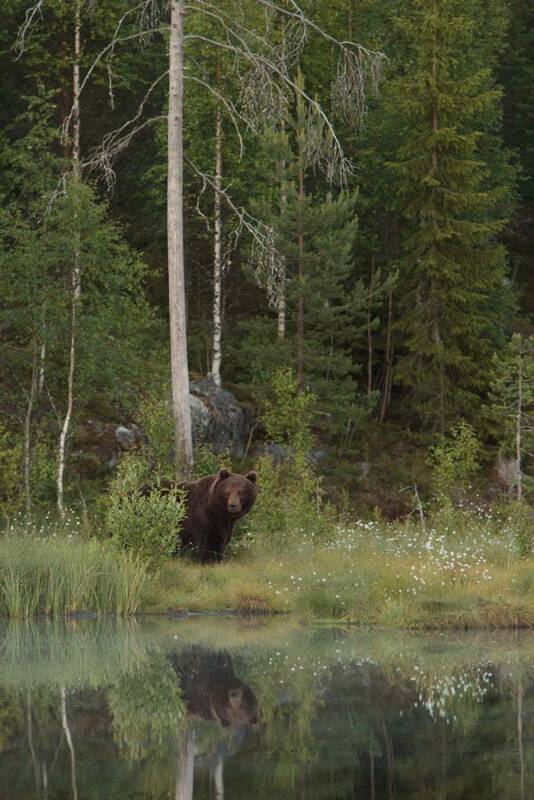 Night 4 for me was a bit of a bust from a bear perspective. I chose to go into a single man hide for the night & was quietly confident of some good results. 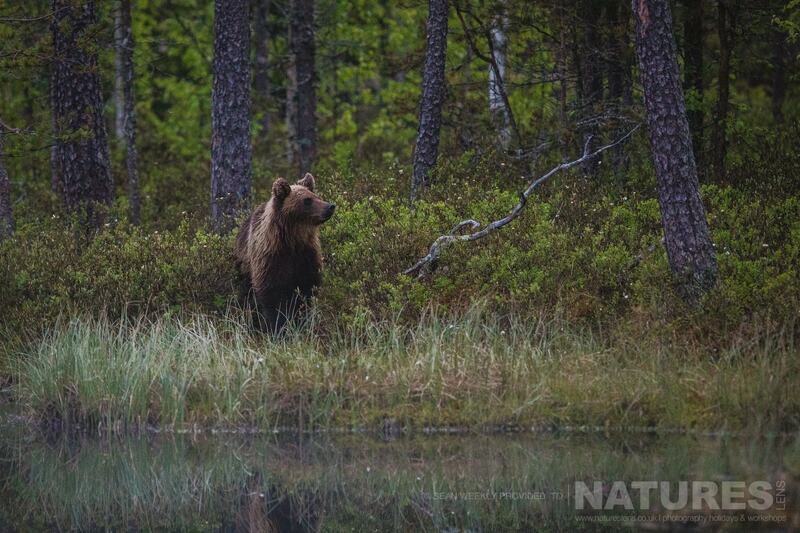 However, it was not to be as the wild brown bear sightings were too far away although there was some amusement as a very large male brown bear approached a nearby hide & the occupants started to panic as they were ‘over lensed’ for the shots & great panic ensued as the bear serenely walked past! 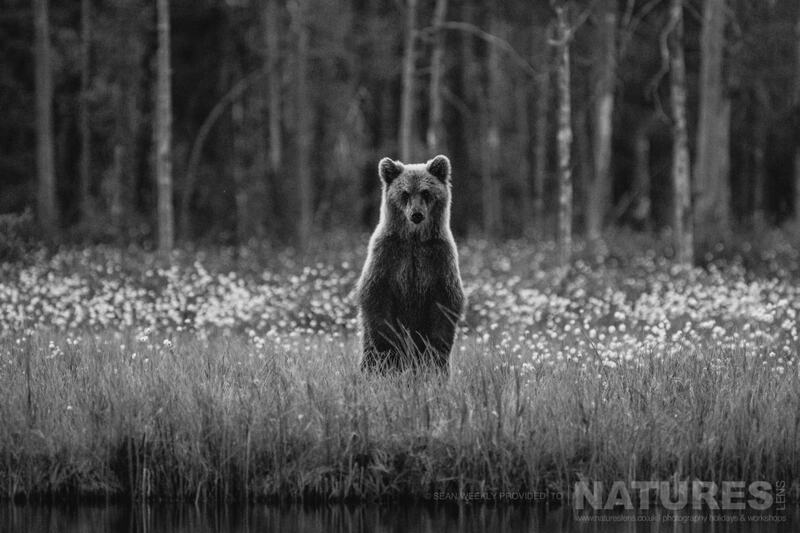 Prior to my trip to Finland to photograph the Wild Brown Bears, I knew that I wanted to come away with a series of compelling & interesting black & white photographs. With wildlife photography you can use monochrome to highlight the details of the animal or draw your viewers eyes directly to the subject of your image. B&W images are also useful in turning distracting backgrounds into a dark uncluttered one. Probably the biggest reason I love shooting this way is that it keeps you focused on the actual composition & texture of the photo. 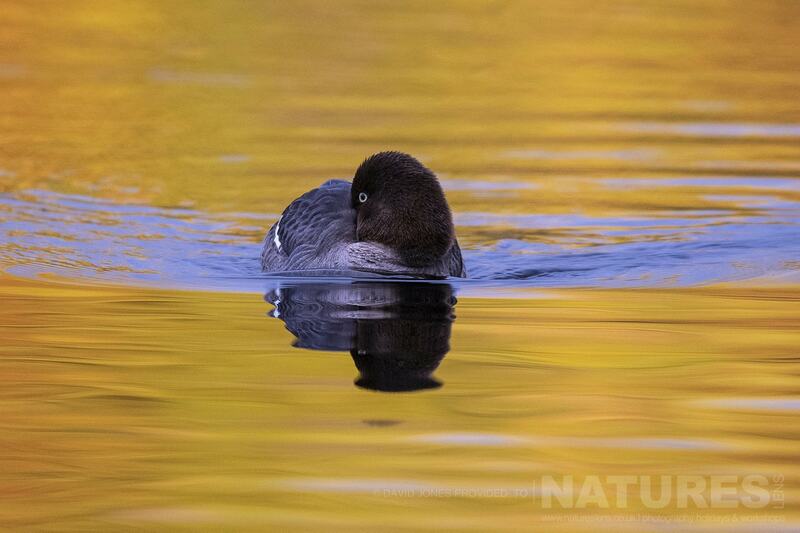 It allows you to focus on shapes, light, shadows, lines, & small details allowing for a more interesting image. That is why some photos look more convincing & compelling in black & white than colour. 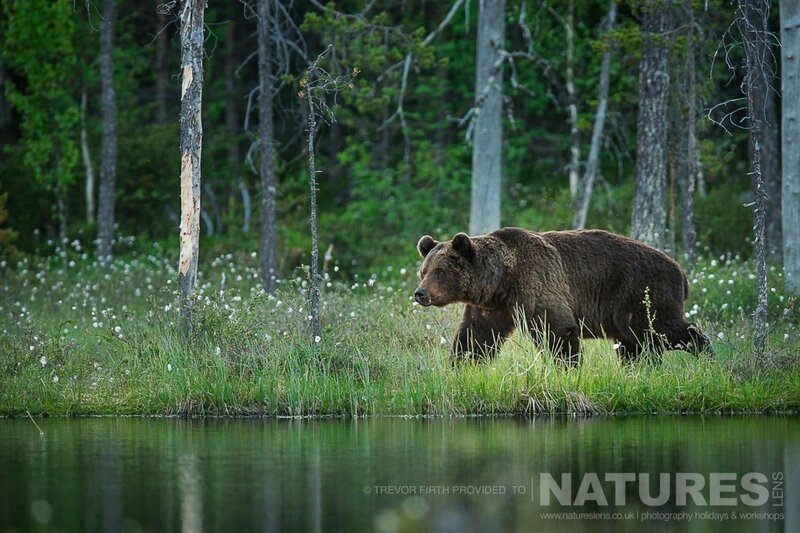 In June I had the pleasure of co-leading the NaturesLens Wild Brown Bears of Finland Photography Holiday to Vartius. 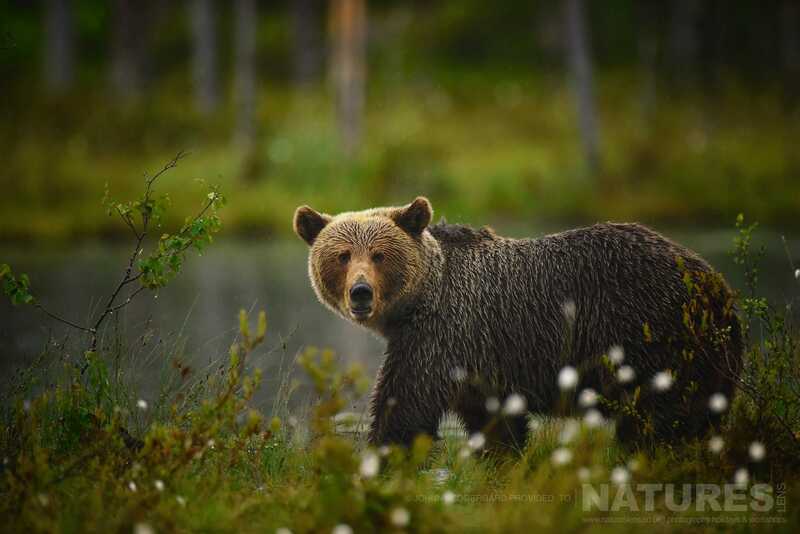 Close to the Russian border lies an area of the Taiga forest as wild & untouched as it gets within Europe, & here roams one of the greatest predators in the world, the wild Brown Bear! 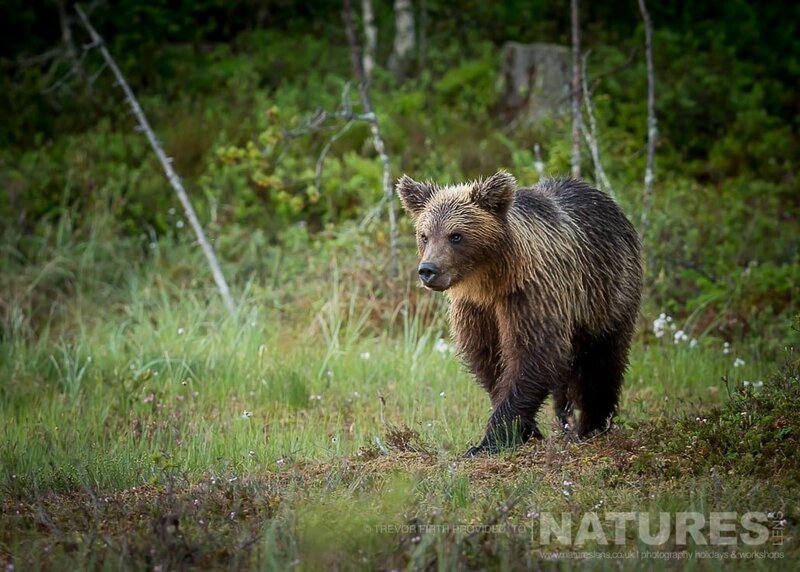 On our first day, we arrived at the main camp location around mid-afternoon, the group settled into their rooms in a comfy wooden lodge & unpacked, preparing all their camera gear for the first night in the brown bear hides. When unpacked the group headed to the restaurant for dinner; dinner was served around 4 pm every afternoon before every hide session. The food was great, home cooked & tasty, & set us up nicely before heading off to the hides. We left our lodge around 5 pm every evening, taking in the 30-minute walk to through the forest & swamps to get to our hides. The hides were some of the best photographic hides I have worked from, supplied with ground level shooting holes & beds – what is not to like? We split the group up into various hides from 1 man to 3 man hides around the area which offered various views of the forest from open cotton field meadows, pine forest lakes & deep woodland hides. 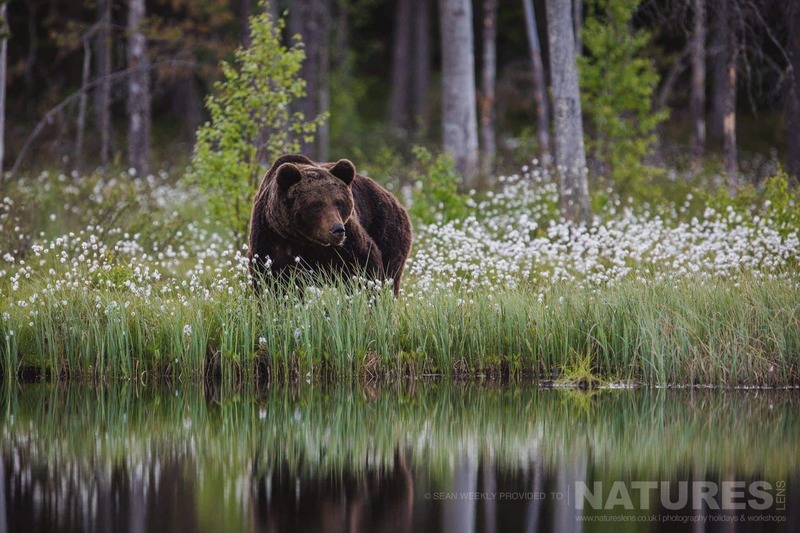 Join NaturesLens guide, Sean Weekly on a week-long wildlife adventure, in June 2017, you will be heading deep into Finnish forests to photograph the native brown bears of Finland which inhabit the region, observing this magnificent animal as it roams freely throughout its remote woodland habitat. 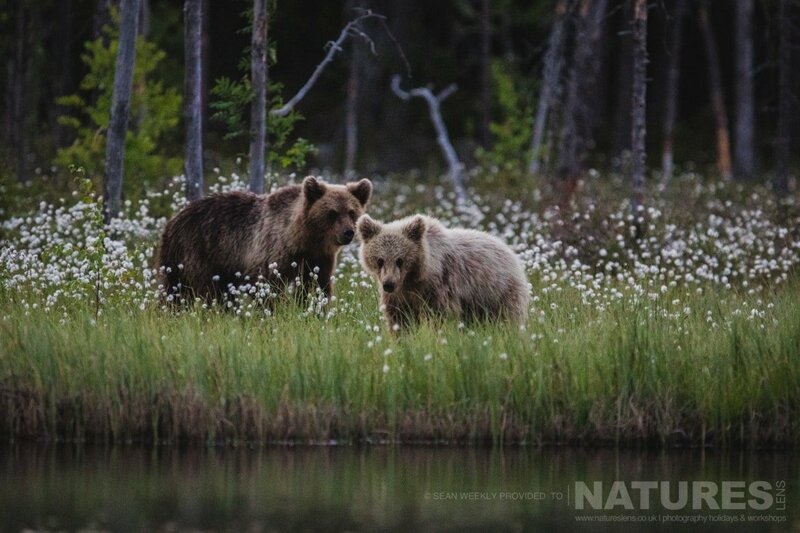 The environment offers the perfect backdrop in front of which to capture the bears as they hunt & maintain their territory. 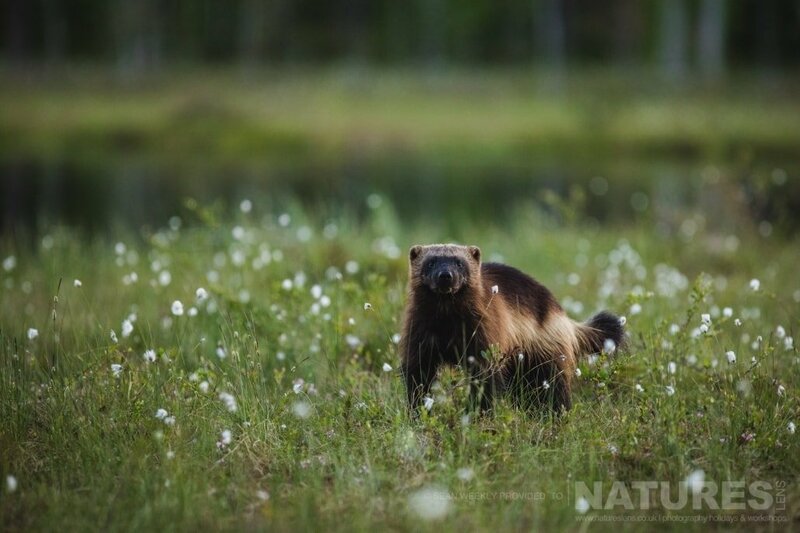 This is a unique opportunity to capture incredible images of this secretive species within their picturesque natural environment. Group numbers are limited, so be sure to book early to avoid disappointment! We have a tiered pricing for the places on the trip, however, any places booked prior to October 31st, 2016 will have the early bird price applied to them – the places are limited & you will not find another trip priced at a similar level to this for the same duration of nights. Full details available on the dedicated event page – click here. 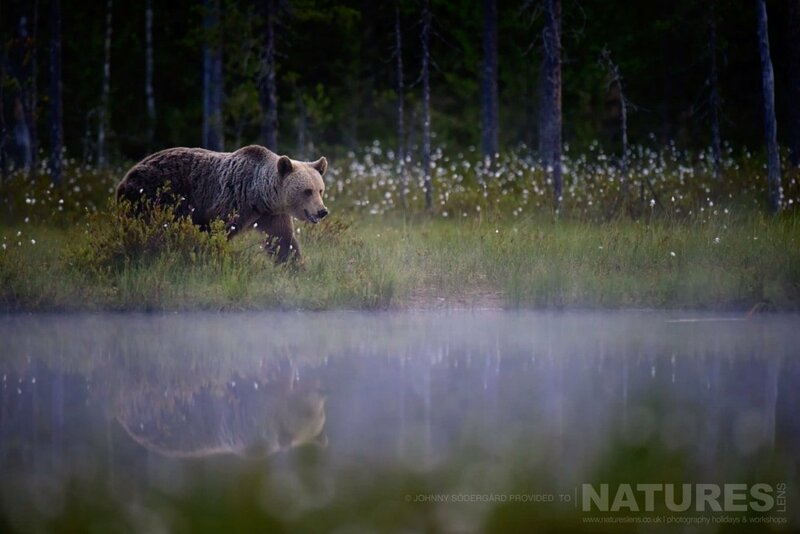 Whatever your query regarding our photography holiday, Early bird pricing for the Brown Bears of Finland, please fill out your details below & we will get back to you.